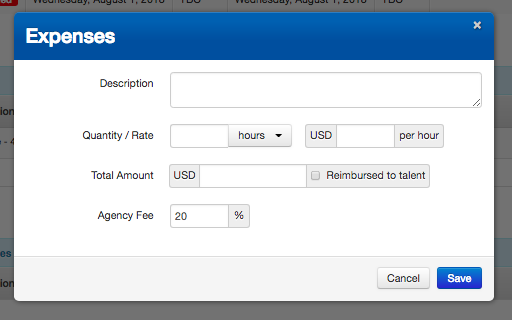 You can easily add Expenses that have been advanced for a Booking, by either the Agency or the Talent to the Booking and Invoice. 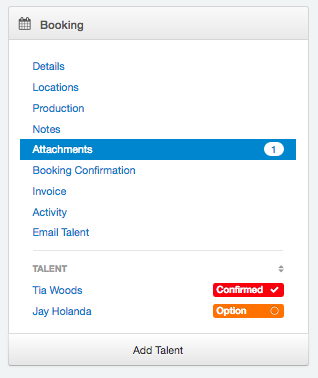 Start by clicking on the Talent name in your Booking that you would like to add the Expenses to. 6. Click Save once you have finished filling out the information. NB Multiple Expenses are able to be added, simply click Add Expense to add more Expenses as seperate line items. 7. If there are receipts that need to be added to the final Invoice, you can add these under Attachments in the main Booking tabs. 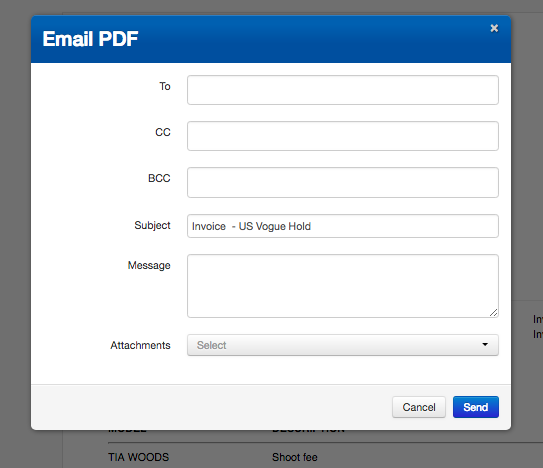 Once you go to Email PDF (in Invoice tab) there will be a drop down to select Attachments to send.